You know you want to learn how to timber frame! Whether you build a dog house, barn or dream home this one-week long class will be a great way to help you prepare. It is also a fabulous way to unwind after the hectic holidays . . . not to mention getting you off the couch! Join us for five days of Purely Post and Beam January 22-27, 2012 Learn egnineering and beam sizing calculations, architecture and the craft of laying out and cutting the joints. Sign up today -- the deadline for registering is this coming up! Watch the Shelter Design Build crew assemble a timber frame entry. Local carver Ed Beech will give a wood carving demonstration. Ken Hatridge of Tree Trunk Design will offer a wood turning demonstration. Read more about Ken on our blog. Sun-Mar, our composting toilet vendor, will be on hand to discuss composting and their great composting products. Read more about Sun-Mar on our blog. A representative from Vermont Castings can answer your questions about our full line of high-quality woodstoves. Read more about woodstoves and woodstove gift ideas on the Shelter Build blog. Christy Hemenway of Gold Star Honeybees will be showing her bee hives and discussing an upcoming bee-keeping classes. Ben Tipton of Simple Living will be discussing his upcoming workshop on downsizing and simplifying your lifestyle and more. 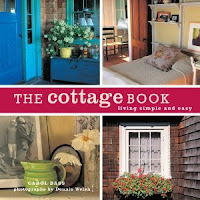 Design author Carol Bass will here to sign books and offer free 15-minute design consultations (first come first served). As always we'll offer free beverages, treats, and door prizes! Admission is free. If you cannot make it to the sale, it is available at Shelter Tools online—Saturday only. If you saw it in the store and can't find it online, we will accept phone orders during the sale hours on Saturday, 9-3 Eastern. Sidewalk items available in person only. The discount does not apply to timber frames or class tuition. 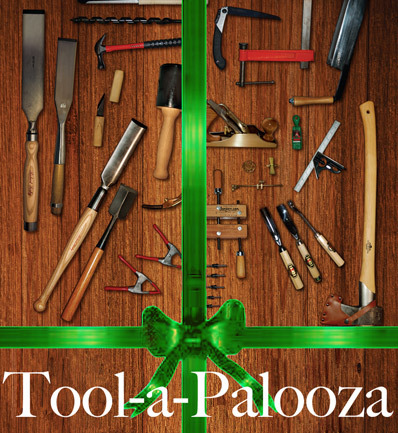 Again this year, we are excited to announce that our classroom will be filled with some of our favorite suppliers, builders, and woodworkers demonstrating exciting tools, products, and techniques. We'll have the Shelter Design Build crew assembling a Timber Frame Entry, local carver Ed Beech will give a carving demonstration, and Ken Hatridge of Tree Trunk Design will offer a wood turning demonstration. Our Tormek Sharpening System will be set up, and we’ll provide free sharpening demonstrations. We’ll also have chainsaw sharpening and hand-hewing demonstrations. Some vendors will be on hand, including Sunmar Composting Toilets and Vermont Castings Wood Stoves. Design author Carol Bass will here to sign books and offer free 15-minute design consultations (first come first served). Christy Hemenway of Gold Star Honeybees will be showing her bee hives and discussing up-coming bee-keeping classes. Ben Tipton of Simple Living will be discussing his upcoming workshop on downsizing and simplifying your lifestyle and more. Stop by for a cup of hot coffee or cocoa, sit by the woodstove and peruse our photo collection of houses that we’ve built over the years, or take a hike along the beaver pond! As always we'll offer free beverages, treats, and door prizes! Admission is free. The tool store will offer up to 20% off of in-stock items only, and we'll have a sidewalk sale on the deck with overstock items marked down as much as 60% off.